• Join the seasonal event: Wintertide is upon us! • Collect candies and exchange them for gifts, like new items and 7 new outfits! • New special boss: the Terrifying Winter Man! • More levels for your mythical artifacts. • QoL, balance changes and bug fixes. • New hero: get to stage 632 to unlock Ron, the messy shapeshifter! • New feature: trinket forging! Create the trinkets you want from spare parts once you reach stage 500 & level them up immediately. • 9 more Curses for the Gates of Gog. 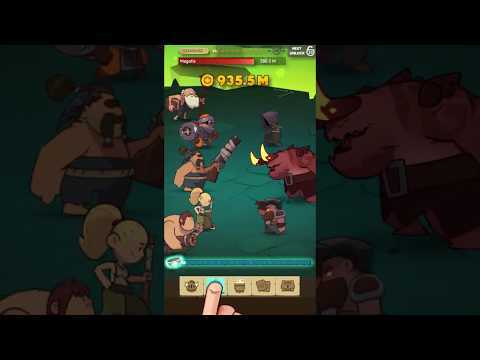 • More quests for Adventure Mode, up to stage 1200! • Halloween is here with new special offers and side quests! • 5 new spooky outfits for your almost heroes. • The whole game has dressed up for the occasion! Even the dragon! • Better experience for big screens. • New hero: Nanna is here to heal the team with her NomNom broth! Get to stage 480 to unlock her. • Better trinkets screen: star, sort and quickly see all your trinkets! • 8 more trinket slots. • Random skill picker in Adventure Mode (unlocks at stage 381). • New merchant item for GoG mode: Auto Picker. 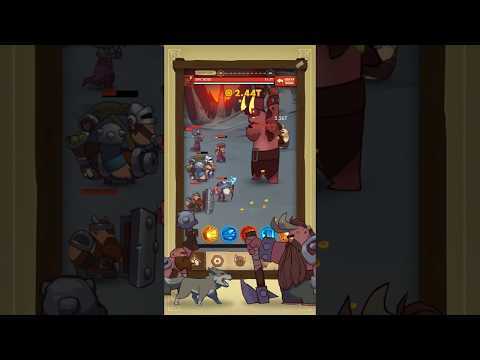 • Beat Gate 20 to unlock Cursed Gates: harder challenges that reward scraps! 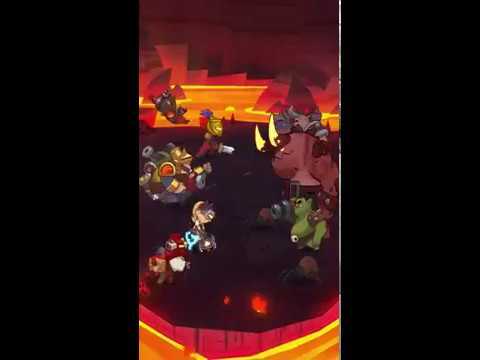 • Dangerous boss fight at Gate 100. • New flash offers that change daily. • New artifact and charm sorting options to better manage your progress. • The holiday season is coming to Almost a Hero with new special offers and surprises here and there.• New side quests! Also, you can skip the ones that you don't like! (for a price)• Animated backgrounds & UI improvements.• Optimized tutorial.• QoL improvements and bug fixes. • New: MINES! Unlock mines to get permanent bonuses, tokens and scraps! Get the shovel ready!• You'll also receive SIDE QUESTS that reward Aeon, a new currency. A new quest appears every 8 hours.• Aeon can be used to buy trinkets or improve the mines.• Additional levels for your mythical artifacts!• Gorgeous new backgrounds.• Full game optimization.• QoL improvements and bug fixes. • Several bug fixes.• A new Almost Hero: Tam!• New mythical evolve level for heroes and their items.• Additional levels for mythical artifacts.• Compass can now be disabled.• Overall balancing improvements.• Improved integration with Google Play. • A new Almost Hero: Tam!• New mythical evolve level for heroes and their items.• Additional levels for mythical artifacts.• Compass can now be disabled.• Overall balancing improvements.• Improved integration with Google Play.• Several bug fixes.• Hotfix for Chinese Localization Crash. • Brand new Earth Ring with 8 Runes.• Shiny new Mythical Artifact Icons.• Two new Mythical Artifacts:- Shiny Object (High QP)- Lazy Finger (Auto-upgrading)• Overall balancing improvements (affecting artifacts, mythstone drops, heroes, revive durations, gold bag, etc. )• Several bug fixes. 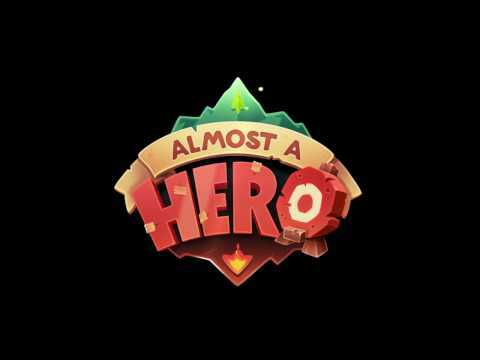 • A new Almost Hero: Handsum Jim!• Balancing: fine-tuning some hero skills.• Several bug fixes.• Some Quality of Life improvements.• New languages: Simplified Chinese, Japanese and Korean.